Lamb is the traditional main course for spring religious holidays such as Passover and Easter. Big roasts, legs, or Frenched racks are very holiday-worthy. But don't feel that you need to have a holiday to indulge in this tasty main. Lamb is delicious any time of year and can be scaled down for less expensive meals or fewer diners. When sourcing your meat, do ask your butcher where their lamb is from. New Zealand lamb is more commonly found and slightly less expensive than American lamb. It's typically pasture raised and contains slightly less fat and marbling. The taste is a bit more gamey than their American, grain-fed cousins. But if you prefer a more beefy taste, choose American lamb for a more familiar flavor. Whichever taste you like, here are a few ideas and recipe suggestions for some of our favorite lamb dishes. Lamb is sometimes only thought of as the entree for large holiday gatherings. But what if it's just a celebration for one or two? There's no reason not to buy a few lamb chops and give them a burst of flavor with a za'atar spice rub. Get your cast iron pan screaming hot, give the lamb chops a good sear on either side and then finish cooking them in the oven to whatever degree of doneness you like. Skip the mint jelly and serve with mashed potatoes to take advantage of the flavorful pan gravy. The good, old-fashioned American burger gets a delicious make-over with Middle Eastern flavors and ground lamb. Keep in mind that, unlike beef, lamb does not contain as much fat marbling so it's best to keep it on the rare or medium rare side so it will remain moist. Do go ahead and include some juicy onions and aromatic spices like cumin, coriander, and a hint of cinnamon. Skip the slice of American cheese, and instead spread the bun with a dollop of cool labneh and top with tangy feta cheese. These burgers will be a tasty treat! We all love a good, all beef meatloaf. It's a classic comfort food dinner from our childhoods that still has the ability to warm us to our toes. But what happens when you want to change up the day-to-day routine? 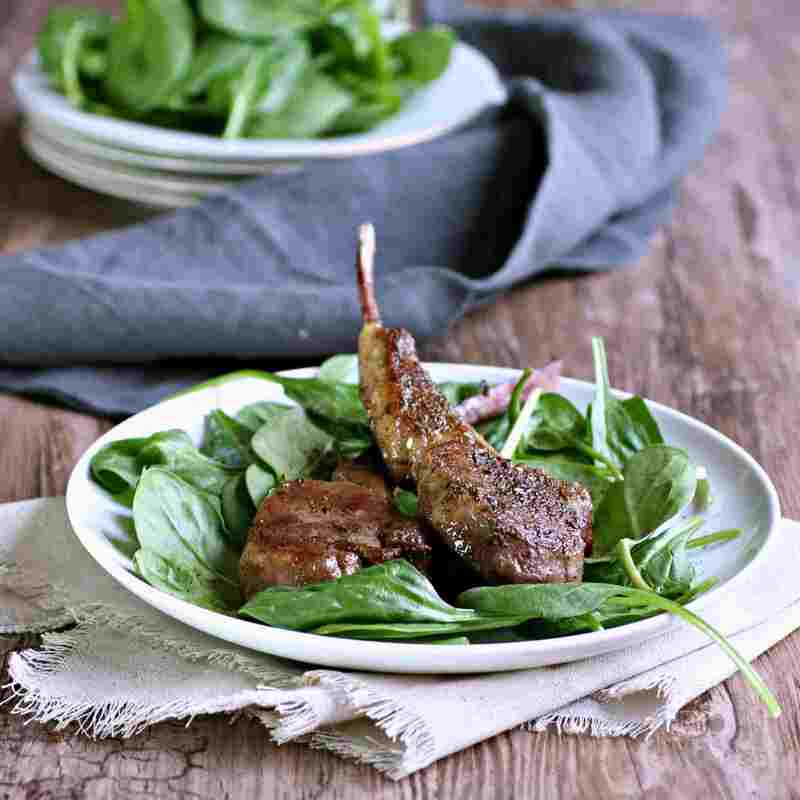 We've got a lamb version that offers a great, tasty alternative to the standard recipe. Bonus: This version gets even more standout flavors from the addition of some fantastic and aromatic spices like cumin, dried basil, and cinnamon. The shank is usually the cut of lamb taken from the lower section of the animal's legs. While it is extremely tough and full of connective tissue, it can be the source of very flavorful and succulent dishes if braised or slow cooked in a crockpot. When properly prepared, lamb shanks practically melt off the bone. Season the shanks with salt and pepper and brown them in a large, heavy bottom pot. Add aromatics such as onion, garlic, and herbs like fresh thyme and rosemary. Then slow cook until it's meltingly tender. Once cooked, the shanks make great leftovers in sandwiches or with BBQ sauce in tacos—all in all, a delicious and versatile cut of lamb. Shashlik is a Turkish / Russian style of kabab. Marinated and skewered lamb is grilled to perfection and combined with grilled vegetables make the ultimate cookout food or just an amazingly good dinner. If you love meat with a little kick, this lamb kabob will make your taste buds very happy. The lamb pieces are marinated in a spicy blend of herbs, creating a flavorful kabab that's packed with a bit of heat. Is there anything more festive and delicious than a roast? 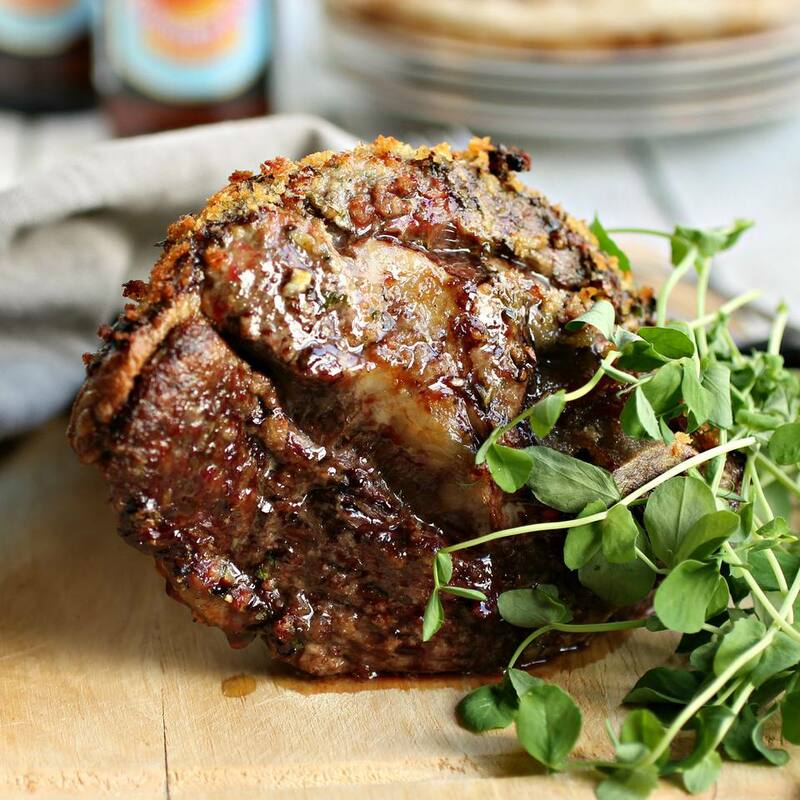 Both lamb leg and lamb shoulder have marvelous flavor when roasted. Although we prescribe that the shoulder will be juicer as it has a bit more fat. Either option you decide to go with, season the meat generously and roast to your desired doneness. Then bring on the holiday guests! Few dishes are as hearty and comforting as a good stew. Making it with lamb cubes adds a great flavor alongside vegetables such as carrots and potatoes. Add in a few dumplings for a special touch.